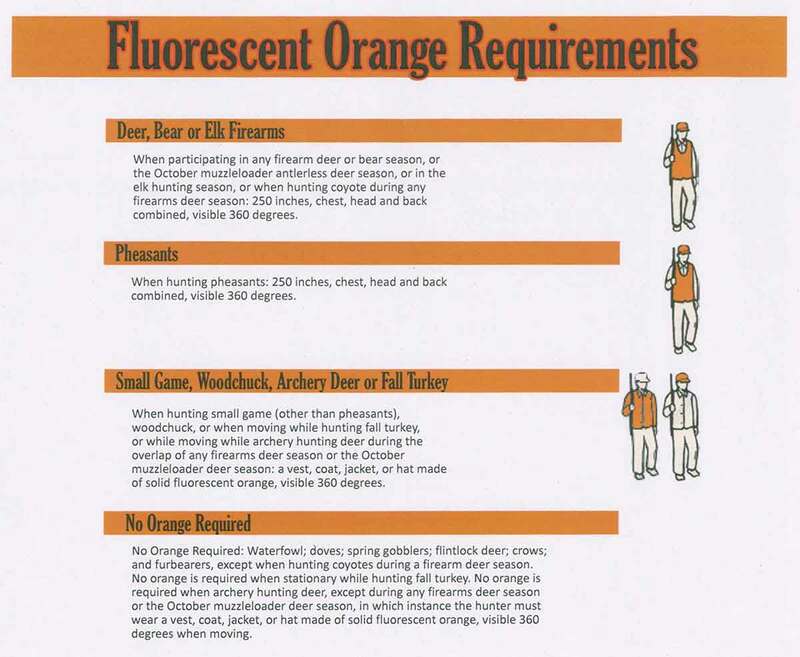 Fluorescent orange rules for hunting in Pennsylvania might change, to benefit archers, among others. It is, by just about everyone’s admission, time to make a decision one way or the other. There’s less agreement on what that decision should be. 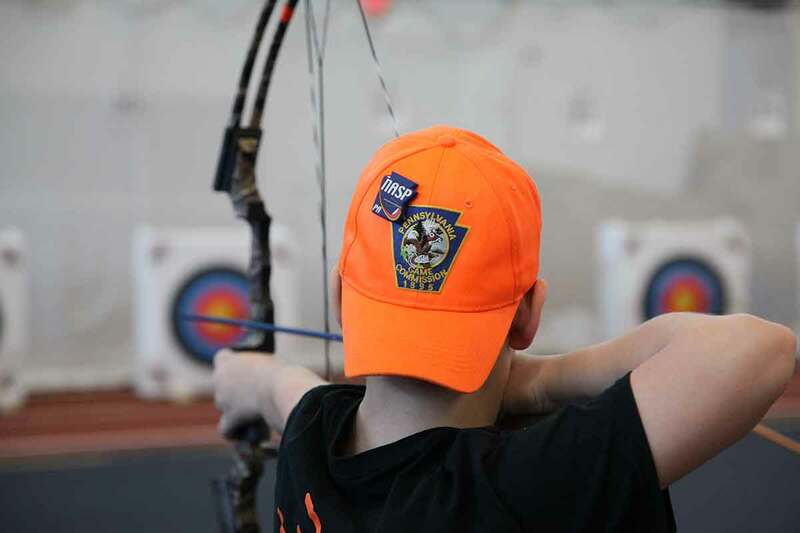 For many months now, Pennsylvania Game Commissioners have debated whether to simplify the rules specifying how much fluorescent orange hunters have to wear and when. As things are, agency staff labels them “the most complex and restrictive” in the nation. 250 square inches of orange, visible from 360 degrees, on the head, chest and back combined, when hunting deer or bear in a firearms season, hunting antlerless deer during the October muzzleloader season or when hunting elk. That’s the way things are now. 250 square inches of orange visible from 360 degrees, on the head, chest and back combined, when hunting pheasants. A solid orange hat, vest, jacket or coat, visible from 360 degrees, at all times when hunting small game other than pheasants or woodchucks. They would need to wear the same item, but only when moving, when hunting fall turkeys or when archery hunting deer if the season overlaps with any firearms deer season. No orange when hunting waterfowl, doves, spring gobblers, flintlock deer, crows, archery deer outside of a firearms season, and furbearers, except when hunting coyotes during a firearms deer season. Those changes, if adopted, would “significantly reduce” the state’s orange rules. Yet it would still leave Pennsylvania with more regulations than just about any other state, said Steve Smith, chief of the commission’s bureau of information and education. But it’s a doable plan, he added. “We believe the changes can be made without compromising the safety of those who participate in these activities,” Smith said. Commissioner Charlie Fox of Bradford County – who asked that the orange rules be reviewed – said many states require orange to be worn in big game seasons, but nowhere else. They “highly recommend” that hunters wear orange at other times, he noted. But they don’t mandate it. There may be some value in going that way, Fox said. “Some guys, they could be orange head to toe and they still don’t feel safe. And another thinks that if he has a hat on, he’s there,” Fox said. At the very least, the commission needs to make its orange rules easy to understand, he said. “We’re trying to get voluntary compliance. And the way you do that is by making things simple,” Fox said. Commissioners could do that, said Randy Shoup, director of the bureau of wildlife protection. State law requires hunters to wear 250 square inches of orange in big game season, he said. It also requires orange for groundhogs. Beyond that, there’s nothing that mandates the wearing of any orange, at any time, in any other season, Shoup noted. Commissioners added all the other rules by regulation over time. And they could do away with them, Shoup said. And there’s no denying hunters are safer in the woods now than ever. The commission tracks accidents – referred to as hunting-related shooting incidents – and has since 1915. Those statistics show the total number of accidents, as well as the accidents per 100,000 participants, are lower than they’ve ever been. Fluorescent orange gets some of the credit for that, even on the commission’s website. But it perhaps gets too much, said executive director Bryan Burhans. “We’re making the assumption that fluorescent orange is necessarily making (hunters) safer. Sometimes, it seems like fluorescent orange is the Holy Grail,” Burhans said. Hunter participation and distribution is probably another factor, said commissioner Dennis Fredericks of Washington County. Decades ago, he said, most hunters headed to places like Potter County for opening day of the firearms deer season. Now, he said, there are fewer hunters overall and, because deer are spread all across the state, hunters are, too. At least one commissioner, though, isn’t sure the rules need changed. 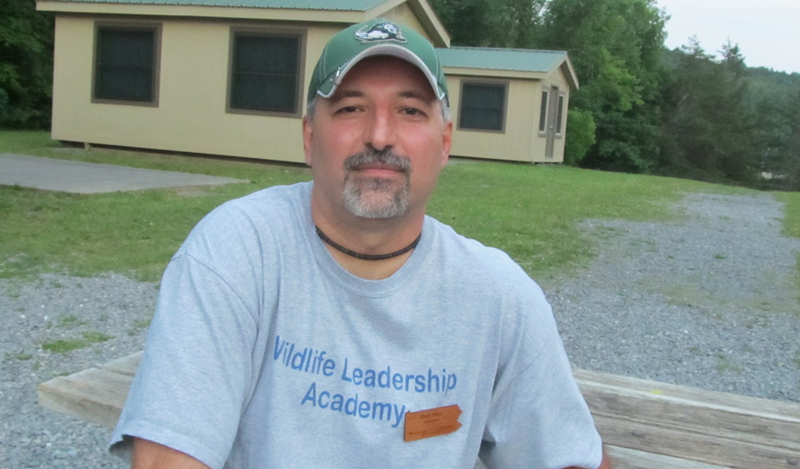 Jim Daley of Butler County is a long-time hunter education instructor. The program makes a difference, he agreed. But he pointed out that the average hunter in Pennsylvania is 55 years old. Those people haven’t taken a hunter safety course in decades, he said. What’s more, it’s important to remember that the orange rules in place are there for a reason, he added. “When somebody said they wanted orange on your head, there was a reason they wanted orange on your head. If somebody said you needed to be pretty well covered with 360 degrees (of orange), there was probably a reason for it,” Daley said. It might be that the commission just needs to do a better job of explaining its orange rules, he said. Commissioners — if they are going to change the rules – may do so at their next meeting, set for Sept. 24 and 25 in Somerset County. They need to do something then, or not, but move on either way, said board president Tim Layton. Here’s a look at proposed fluorescent orange rules for Pennsylvania. Proposed orange rules for Pennsylvania hunters.